This work was made in response to the historic Burnap collection at the Nelson Atkins Museum in Kansas, USA; the collection comprises 1345 objects and one of these, the Sandbach Cup, was chosen by the artist and reproduced 1345 times with the help of Hartley Greens & Co. Leeds Pottery, a ceramics factory in northern England. 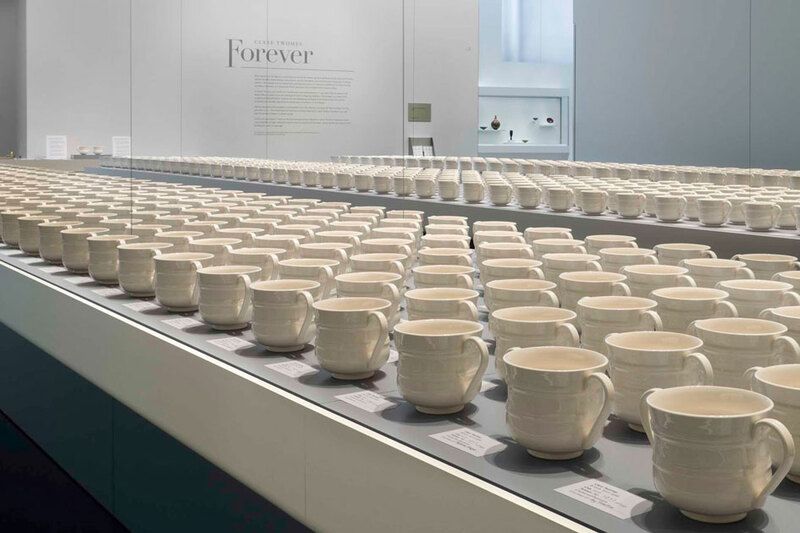 The public were able to own one of these cups if they agreed to sign a deed from the Museum that stated they would keep it forever: 10,000 people signed this agreement highlighting issues of ownership, responsibility and the notion of time. 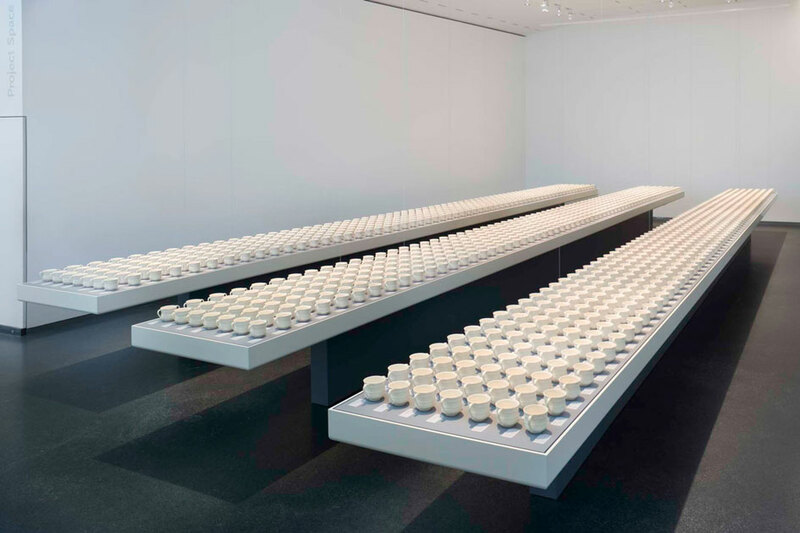 In her first American solo exhibition, Forever, specially created for The Nelson-Atkins Museum of Art, Twomey explores ideas of permanence, responsibility, memory, desirability, value and the process of making ceramics. When Harriet and Frank Burnap gave their collection of British ceramics to the Nelson-Atkins in 1941, they scrupulously described their requirements for the care, safekeeping, display and accessibility of a collection that they had carefully assembled over decades. The Deed of Gift for this important collection of pre-industrial British ceramics, considered the best in the United States, repeatedly states that the works will be held by the museum “in trust forever.” The Burnap Collection, the first major gift of art to the Museum, came with restrictions including stipulations for the Museum’s responsibilities for the care of and accessibility to the works; the Museum is rigorous in maintaining the restrictions and intent of this Deed of Gift. It is this imperative, combined with the significance of the Burnap Collection and the responsibility of the Museum to uphold this commitment, that forms the basis of Forever. Three years ago, Twomey visited the Museum and was fascinated by the Burnap Collection, especially the breadth and depth of its 1,345 objects. 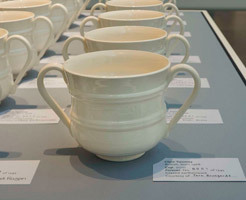 She was particularly attracted to an important cup in the collection: a salt-glazed stoneware two-handled vessel for caudle, a wine, milk and spice drink, inscribed “Mrs Mary Sandbach her Cup anno dom 1720”. The Cup is noted for being the earliest-known dated piece of English salt-glazed stoneware and serves as a benchmark for other works in this medium. 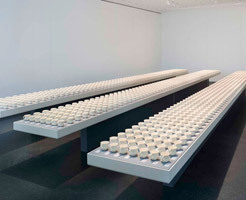 In her investigation of responsibility and permanence, Twomey created the new, site-specific installation Forever. Working with Hartley Greens & Co. Leeds Pottery, a ceramics factory in northern England that has produced functional earthenware’s since the 18th century, Twomey authored a model of the Sandbach Cup. This cup was reproduced 1,345 times, honoring the number of works in the Burnap donation. 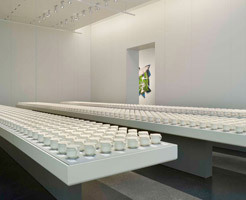 Visitors will not only be able to view the vast collection of the cups—each with particular characteristics of hand-applied handles, individual surfaces and unique numbers— they will also have the opportunity to become owners. 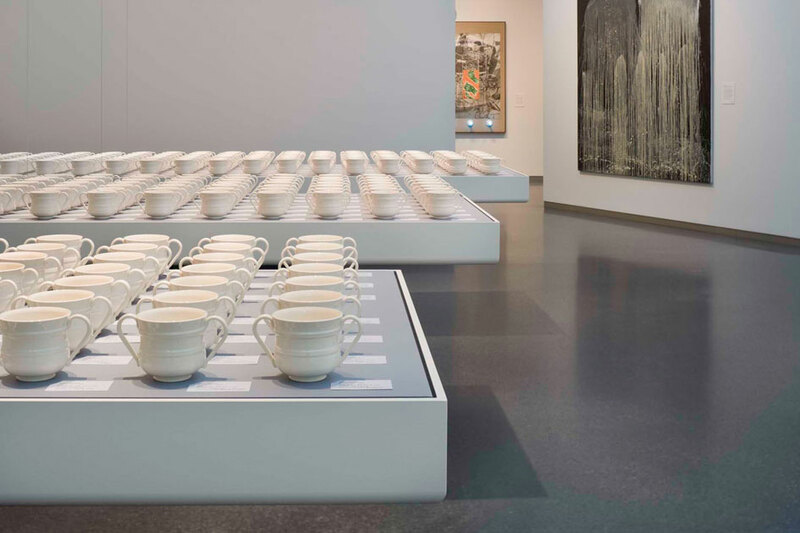 To become an owner, visitors must complete and sign a Deed that asks prospective owners to consider why they want the work of art—is it because the Cup is displayed at the Nelson-Atkins, or that the owner’s name will be recorded on the object’s label? Will the Cup hold memories? Why and how will the owners value their Cup? 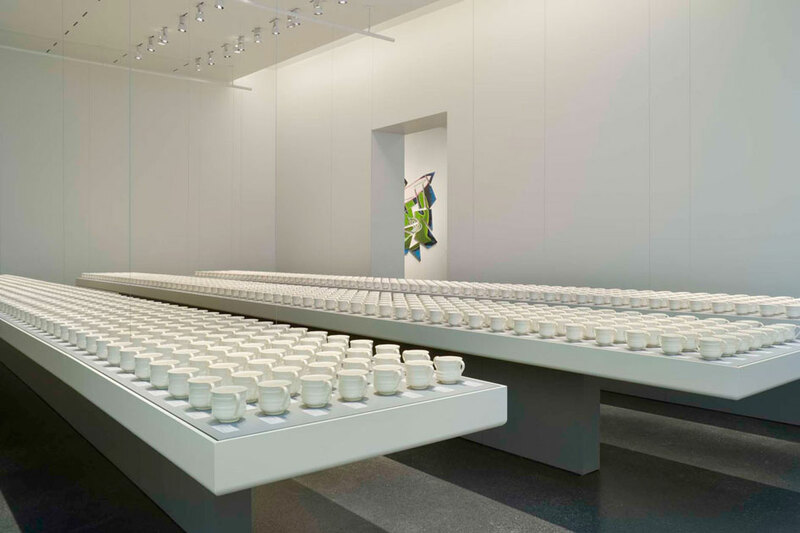 Finally, can they sign a Deed committing to care for a Cup forever—just as the Burnaps required the Nelson-Atkins to sign their Deed of Gift nearly 70 years ago? 1. 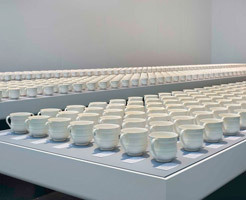 After visiting the installation and noting which cups have owners, please select a Cup that you would like to own. There are samples on display for you to handle at the south end of the gallery. 2. To be eligible, a prospective owner must completely fill out and sign two copies of the Deed with contact information including name, address, e-mail and phone number. There are no on-line entries. Prospective owners may only apply once a day. 3. One copy of the completed Deed should be handed to a gallery assistant. The other should be retained by the prospective owner, to be counter-signed if the application is selected. 4. On each Monday of the exhibition, owners will be selected. Notification of ownership will be sent by e-mail. You may also check the Forever website to see which cups have been selected that week. 5. 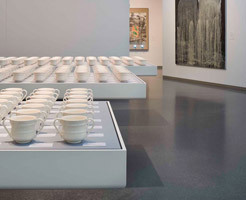 Owners must bring their copy of the Deed to be countersigned when they collect their Cup at the Nelson-Atkins during Museum public hours, January 5–January 9, 2011 in Gallery L8. 6. After the close of Forever, you can further participate in the exhibition by posting your images or comments describing why you wanted to be an owner and how you value and care for your Cup. When acquiring a work of art, a new owner thinks about the artist, how the piece was made and considers the responsibility of caring for this precious object in perpetuity. 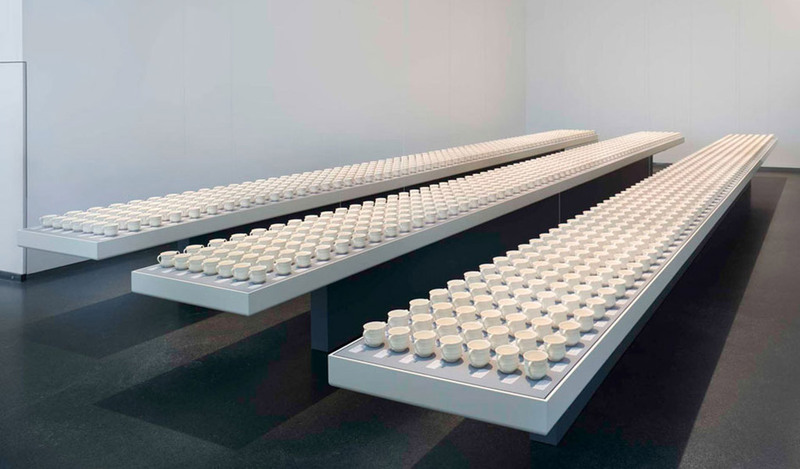 Clare Twomey, a British artist working in ceramics, explores ideas of permanence, responsibility, memory, desirability and value in addition to the process of making. 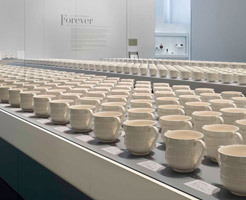 Twomey, in her first solo exhibition in the United States, has created an installation especially for the Nelson-Atkins, entitled Forever. 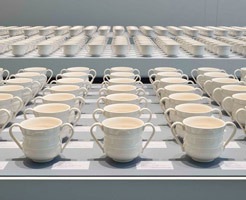 Here, Twomey reflects upon ownership and the history and technology of ceramics. 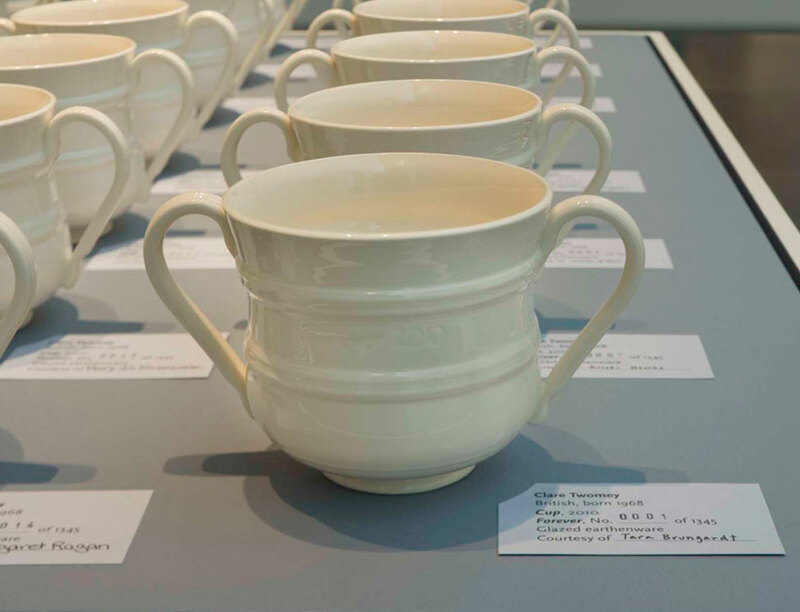 Three years ago, Twomey visited the Museum and was fascinated by the Burnap Collection of English Pottery. 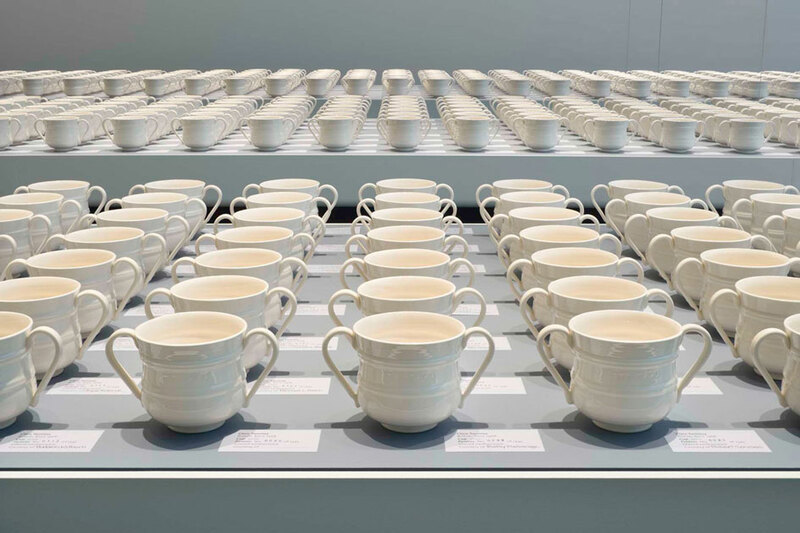 An important work in this collection, a salt-glazed stoneware Cup, inscribed to Mrs. Mary Sandbach in 1720, now serves as Twomey’s point of departure for her provocative installation Forever. The Cup is noted for being the earliest-known dated piece of English salt-glazed stoneware and serves as a benchmark for other works in this medium. The Burnap Collection, the first gift of art to the Museum in 1941, came with restrictions including stipulations for the Museum’s responsibilities for the care of and accessibility to the works. The phrase “in trust forever” is repeated throughout the Deed of Gift from the Burnaps, emphasizing the expectations that these collectors placed with the Museum. 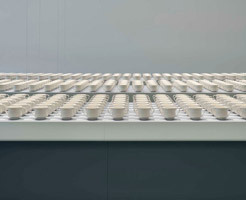 In her exploration of responsibility, Twomey has created an interactive installation. 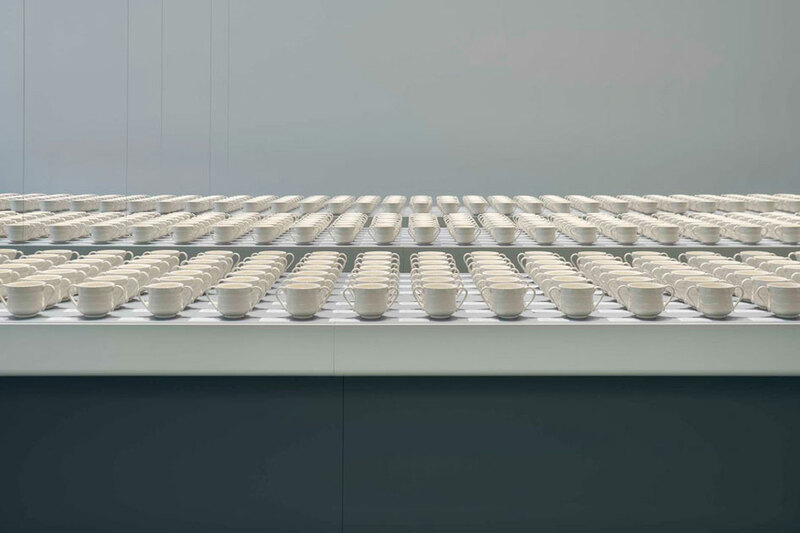 Working with Leeds Pottery, Twomey has created a model of the Cup to be reproduced 1345 times, in honor of the number of works that Frank and Harriet Burnap donated to the Museum. 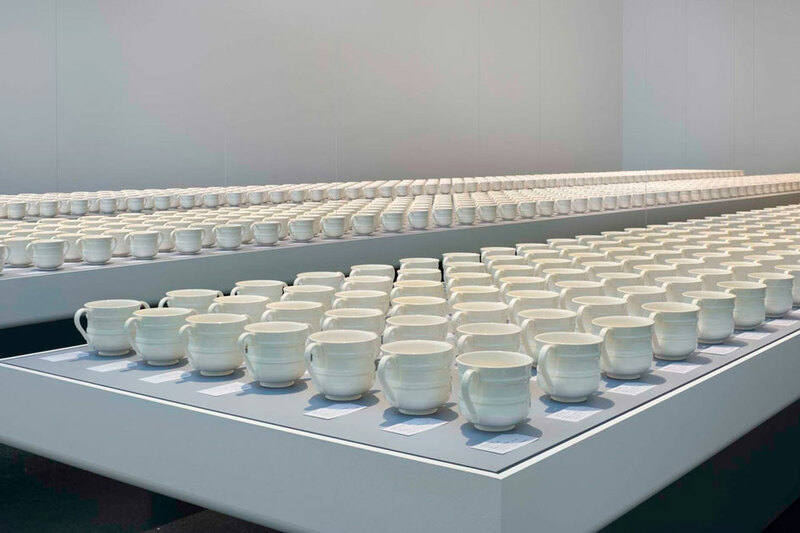 Visitors will not only be able to view an impressive installation of the cups, but they will also have the opportunity to become an owner, after completing a deed that stipulates that they will care for the Cup forever. Members will have the first opportunity to acquire a work on Member’s Preview Day, Friday, October 8th.